For the past 90 years Turkey, NATO's most eastern member and the Islamic world's gateway to the West, has been a nation state comprised of a manifold of ethnic groups and sub-groups bonded by the religion of Islam. Even though Kemalist social engineering and effective rewriting of national history and identity (1923-1994/2002) successfully transformed the Ottoman banner into a symbol of Turkish nationalism, adherence to the Muslim creed has always been the common core of Turkish citizenship. The mere existence of a Directorate of Religious Affairs since 1924 all but underlines this fact. This Muslim undertow of Turkish nationalism has always been quietly accepted and even acknowledged; for example, non-Muslim Turkish citizens (such as Jews, Greek Orthodox, Armenians of various Christian denominations, or Assyrians) were, and still are, not really accepted as ‘equal Turks’ by the majority of the population, and even the nation's administration and courts, as persuasively argued for by the member of Antalya Bar Association, Nazım Tural. But it was not until the municipal elections of 1994, when Islamist politician Necmettin Erbakan's Welfare Party (Refah Partisi, RP) gained the majority of the national votes, promoting the now notorious Recep Tayyip Erdogan to the position of Mayor of Metropolitan Istanbul, that this undertow suddenly came to the fore and was slowly transformed into the political current it is today. But the genie had been let out of the bottle, and slowly but surely Islam became an openly accredited determinant in the social and political life of Turkey once more. And once Erdogan founded his Justice and Development Party (or AKP), the floodgates were well and truly wide open, inundating the Lausanne Treaty-agreed upon territories forming the successor nation state to the multi-ethnic, poly-religious yet staunchly Islamic Ottoman State with "Pure Water for Thirsty Muslims,” to use the words of the Ottoman poet and bureaucrat Gelibolulu Mustafa Ali Efendi (1541-1600). Prime Minister Erdogan has ruled Turkey for more than ten years now, and following the outcome of the recent presidential elections (gaining 52% of the popular vote) he will arguably continue to play an important part in Turkish life after he moves to the presidential residence in Ankara on 28 August. At the moment, the question whether he will actually push for a constitutional change that would transform Turkey's regime from a parliamentary into a presidential system seems to have taken a backseat. 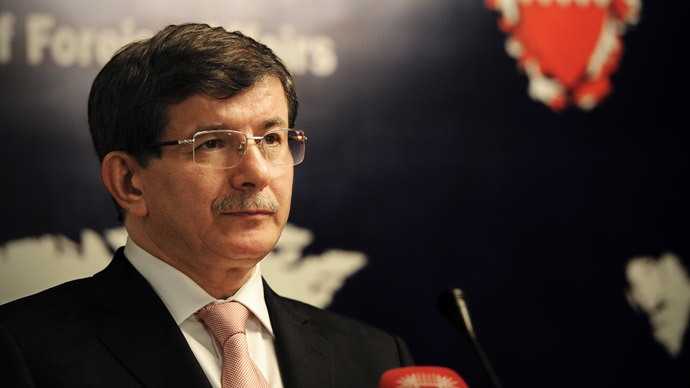 Instead, attention is now focused on the wily Foreign Minister Ahmed Davutoglu who has been "appointed" the future party leader and PM by Erdogan on 21 August 2014. Erdogan said that the "candidate for party leadership and prime minister will realize the ideal of a new Turkey and the AKP's targets for 2023.” Do these words indicate that Davutoglu will be nothing but a compliant and malleable successor, fashioned into an agreeable and useful shape by puppet-master Erdogan? After all, the Associated Press confidently reports that the new President of Turkey "has made no secret of his ambition to strengthen the powers of the presidency, until now largely ceremonial. He has indicated he intends to keep his grip on the executive by making use of the presidency's seldom-used powers, including calling and presiding over Cabinet meetings. Analysts said Erdogan wanted to install a friendly prime minister who will allow him to largely control government." Underestimating the considerable command and resourcefulness of the as-yet still FM Davutoglu appears somewhat naive and possibly misguided, particularly if one were to keep in mind that both men share the same ideology and harbor similar, if not downright identical, ambitions for Turkey domestically as well as internationally. As expressed by the pan-Arab Al Jazeera, "Davutoglu has steered Turkey's foreign policy since 2009 and as an adviser to Erdogan before that." Before leaping on to the political stage, Prof. Dr. Ahmed Davutoglu was a somewhat unassuming academic specializing in the now presumably "hot" field of international relations. In addition, he was also recognized internationally as an Islamist thinker of high standing in the ivory tower world of academia. In 1990 after attaining his doctorate in Turkey, Davutoglu went to Malaysia to become an Assistant Professor at the International Islamic University in Kuala Lumpur, establishing its Political Science Department. 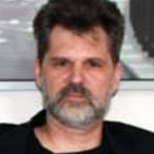 But by 1995 he had returned to Turkey, becoming Professor of International Relations and Head of the International Relations Department at Beykent University in Istanbul, a position he occupied till 2004. While still active as an academic, Davutoglu also became Chief Advisor to the Prime Minister during the term of Turkey's 58th government led by Abdullah Gul (2002-03). Then-President Ahmet Necdet Sezer (in office, 2000-07) and then-Prime Minister Gul even jointly granted him the title of ambassador at that time. When Tayyip Erdogan took over the reins of government on March 14, 2003, Davutoglu continued being active as prime ministerial Chief Advisor. At the same time, as ambassador, he was nevertheless able to act as a prime-mover on Turkey's behalf in the shuttle diplomacy conducted to reach a settlement in the Israel–Gaza conflict, Operation Cast Lead (27 December 2008-18 January 2009). 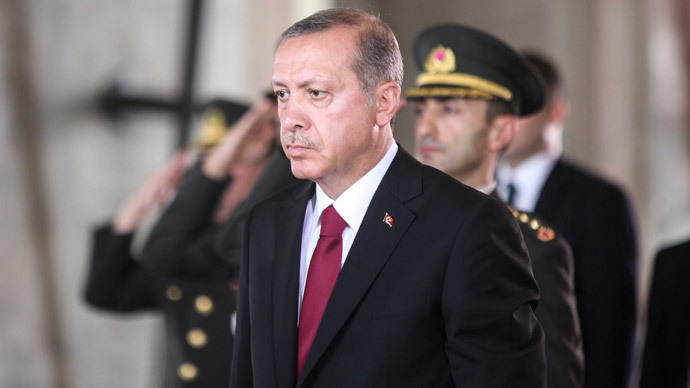 The violence and bloodshed in Gaza caused quite an uproar in Turkey, with PM Erdogan overtly condemning Israeli aggression and publicly speaking as the voice of oppressed Muslims in Palestine (and beyond arguably). Could it be that Erdogan's determined stance on Palestine (and Israel) and particularly his momentous performance in Switzerland were in no small measure inspired by words uttered by his Chief Advisor, the Islamist intellectual and IR specialist Prof. Dr. Ahmed Davutoglu? In fact, Erdogan appeared very pleased with the services rendered by Davutoglu, so pleased that on May 1, 2009, he appointed him Minister of Foreign Affairs. And since then, the wily FM has "steered Turkey's foreign policy" into a hitherto unknown direction and region. I have earlier used the term "pseudo-Ottoman" to refer to this Turkish policy aimed at the erstwhile Ottoman hinterland and beyond, as a policy attempting to reap commercial and tactical benefits from countries and regions that had previously been ignored by the Eurocentric Turkey. For the first time in its relatively short history Turkey started engaging its Arab neighbors. Turkey's esteem and reputation was on a high in the wider Islamic world, especially after Erdogan's arguably carefully scripted Davos stunt. In fact, the Palestinian-American journalist Jamal Dajani at the time proclaimed that the "new hero of the Arab street is Turkish Prime Minister Recep Tayyip Erdogan.” Arguably, this revised and revived appreciation of a Turkish politician by his Arab contemporaries was all down to the tactical scheming of Davutoglu, the man behind the scenes. Davutoglu's foreign policy adventures in Libya, Egypt, Syria, and Iraq all but underline his Ottomanist strand, supporting a Sunni insurgence in the wider Ottoman hinterland, stretching from Tripoli to Baghdad and from Cairo to Damascus. Will the new PM really "realize the ideal of a new Turkey and the AKP's targets for 2023," as Tayyip Erdogan hopefully claimed some time ago? Time will tell.